Facing especially wicked problems, social sector organizations are searching for powerful new methods to understand and address them. 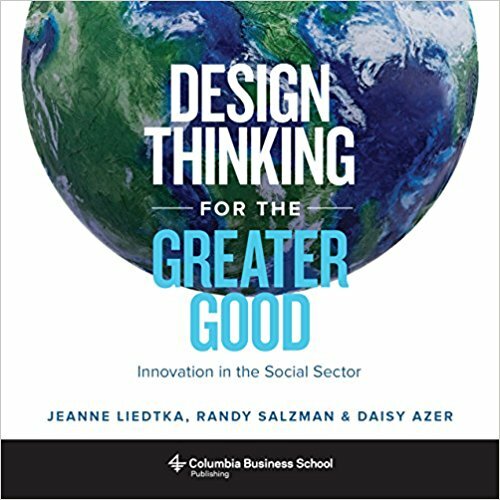 Design Thinking for the Greater Goodgoes in depth on both the how of using new tools and the why. As a way to reframe problems, ideate solutions, and iterate toward better answers, design thinking is already well established in the commercial world. Through ten stories of struggles and successes in fields such as health care, education, agriculture, transportation, social services, and security, the authors show how collaborative creativity can shake up even the most entrenched bureaucracies—and provide a practical roadmap for readers to implement these tools.